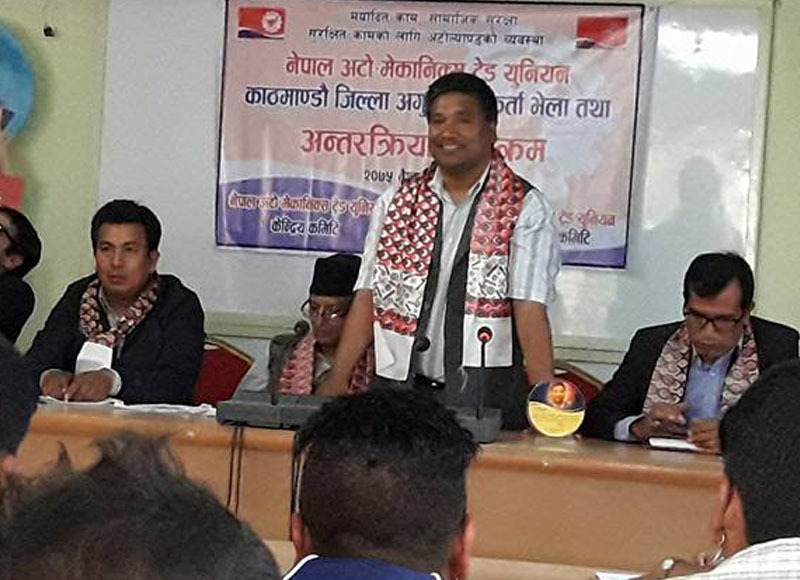 Gathering of Auto sector workers organised by Nepal Auto Mechanics Trade Union (NATU) has been concluded in Kathmandu . Inaugurating the Gathering , GEFONT President Cde. Binod Shrestha highlighted the work done by the GEFONT for the Rights of the Auto sector workers. President said, Union should be stronger to achive the rights of the workers . Union should initiate to enhance the skill of workers to face the new technology .President also drawan the attention of the Government for the fulfillment the demands of Auto sector workers. NATU advisory committee chief Cde. Madhav Pandey, NATU vice President Cde.Pradeep Ghimire also adressed the Programme.